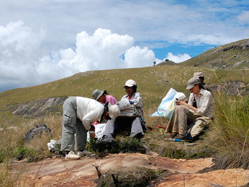 The Garden has had a sustained research presence in Madagascar since the 1970s, and established permanent base in the 1980s. The program grew locally and organically, and there are now more than 150 staff members associated with it, of which almost all are Malagasy. See the work of Garden researchers in our Madagascar Program Flickr Group. Meet the staff of the Madagascar program and learn more about their work. Discover some of the unique wildlife of the Madagascar jungle. Explore the Garden's work in restoring the Ankarabolava-Agnakatrika Forest in Southeastern Madagascar. 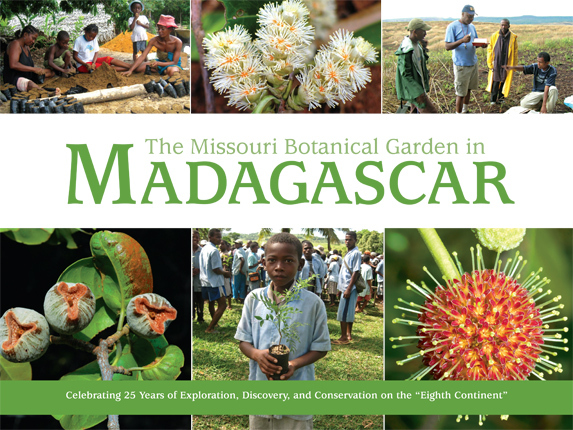 Go inside the lives and work of the many dedicated individuals who make up the Garden's Madagascar Research and Conservation Program.